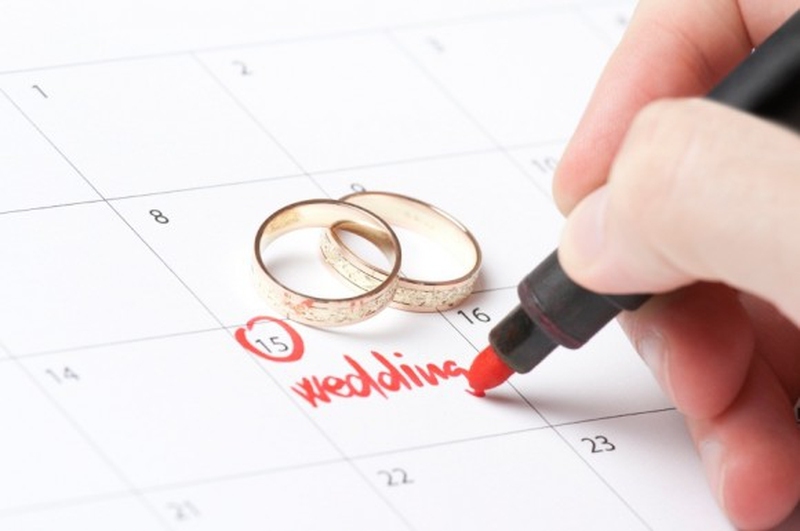 One of the most crucial factors to plan your perfect wedding is setting a wedding date. There may be multiple factors to take into account for your perfect date, including religion or other things such as weather. If you are confused about choosing your best date, check out this "auspicious wedding dates 2015" to find the perfect date! In the year of the green wood horse, there are nine lucky weekend days. However, you should also keep in mind that some days are associated with Chong Evil that cancels out the good fortune based on astrological signs. There’re few days right for wedding in this calendar for February, though many other dates would still be available. The Hindu Panchangam astrological calendar also calculates some auspicious dates for marriage, even though choices are slim for most months other than May and June. To honor the gods’ yogic sleep—Chaturmas, marriage is banned from July 27th to November 22nd. The time between March 9th and 15th are also held sacred, as days that precede Holi, and therefore also banned. Now you may know several most auspicious wedding dates in 2015, but you may still at a loss to pick your right wedding date I suppose. Here are some tips on choosing a best wedding date, and hope they can help. In general, you should keep an eye on the weather as you are planning, but, as the weather can be unpredictable, allow a little extra into your wedding budget to ensure that you and your guests are as comfortable as possible. While getting married in January or March can cut fees down on your venue, you may have to worry about other factors, such as your flowers. If you are still not sure of when to set your wedding date, close your eyes and imagine your perfect wedding. This usually narrows down potential dates to one or two seasons. Holiday weddings can seem fun, but they can also cause conflict in guests’ schedules. On top of that, sharing your special day with a major holiday takes the focus away from the cause of the wedding celebration itself. Now that dates are narrowed down and more manageable, think about any dates that are meaningful—either personally or as a couple. This should give you two an even easier number to work with. While you can put together a wedding in a short amount of time, you should be aware of the costs that come with it as you may not get exactly what is special to you. Depending on other important aspects of your wedding, you may need to change your date around a bit to honor conflicts. By taking all aspects into account, you can still make it the best day of your married life. Just keep calm and get it started.